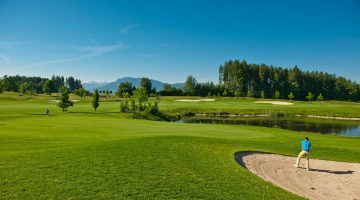 In Neuenkirch in Lucerne, southeast of the Sempach Lake, is the neat Rastenmoos 9-hole course. 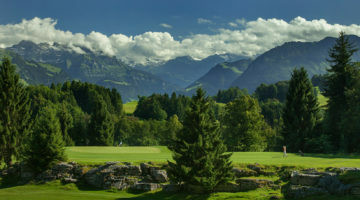 You will be astounded at the panorama views of the two peaks: Rigi, “the Queen of the Mountains” and Pilatus, at the foot of which Pontius Pilate is said to be buried. This is where nature can be seen at its very best. The greens are well defended by bunkers, making for an exciting game. But on this course, even beginners are quite able to put up a good show. 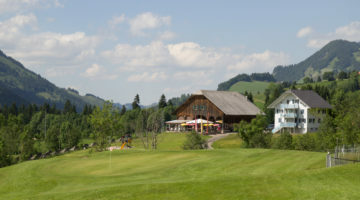 Come and play a pleasant round of golf with lovely views of the Rigi or concentrate on honing your skills on the training ground: the choice is always yours at the Rastenmoos Golf Club. Driving range with 1,793 yd2 grass tees, 10 sheltered tees, 20 open tees, fairway- and green bunker, approach- and putting green.